If there are impurities in the liquid phase in the form of solid particles, then the crystallization often begins on them, as on finished substrates. The role of such particles can play the walls of molds, non-metallic inclusions, oxides, etc. The foreign particles are active if the work of germs formation is less on them than the work of spontaneous generation of the germs. This is the case when the surface tension at the interface of the germ is an alien particle smaller than at the interface between the nucleus and the liquid phase. 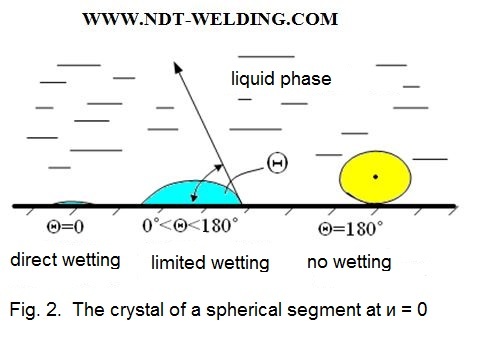 The interfacial energy is characterized by the wetting angle of the droplet of the mother phase on the foreign lining. Therefore, the formation of nuclei is largely determined by the interatomic interaction forces between the particles inside the mother phase and the substrate. If the forces between the particles of the germinal phase and the substrate are larger than the interatomic forces inside the uterine phase, then the heterogeneous nucleation has an energy advantage over the homogeneous phase, so the reduction in free energy is achieved. So, let there be a substrate «П» in the melt «Ж» and the germ «К» is formed on the substrate with the contact angle «И» (Fig. 1). From the above formula it is seen that the surface energy at the substrate-liquid interface is the smaller the smaller the wetting angle □. For □ = 0. Sin ϴ = 0 and the second term vanishes and, if sin ϴ = 1, then in this case the surface energy is high and the germs arises heavily. The topographies of foreign particles. 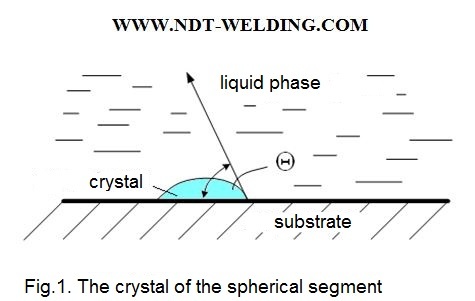 The heating temperatures of the liquid phase: overheating of the liquid phase transfers the particles to the solution (deactivates them) and non-self-crystallization is attenuated. The artificial introduction of foreign active solid particles into the liquid phase intensifies non-self-crystallization, leads to grain refinement and is one of the methods for modifying metals and alloys. Dispersion hardening (aging) (Part 1). 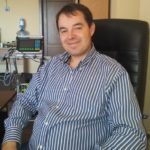 The definition of the technological properties concept and the requirements for it. The technical and economic indicators of power sources. The criterion for selecting power sources for welding.